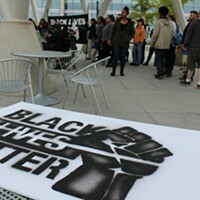 Black Lives Matter supporters rally outside the Public Safety Building on Saturday, Sept. 30 to demand Patrick Harmon body-cam footage be released. 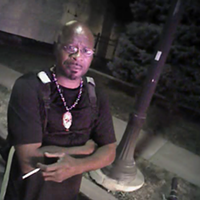 Last Saturday, a small but vocal group of supporters gathered outside Salt Lake City’s Public Safety Building to demand body-cam footage from the Aug. 13 shooting of Patrick Harmon be released. Harmon was stopped along State Street by police for not having a rear light installed on his bicycle. After running his information and being asked about active felony warrants, 50-year-old Harmon attempted to flee and was shot three times by one of the police officers on the scene. Harmon died shortly thereafter. 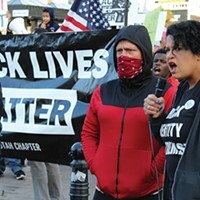 Following cries from groups Utah Against Police Brutality, the local Black Lives Matter contingent and the public, District Attorney Sim Gill declared the incident “legally justified” on Wednesday, Oct. 4. The move prompted the SLCPD to release three body-cam videos to the media later that day. One of the videos shared by City Weekly has garnered more than 2 million views and sparked national attention. 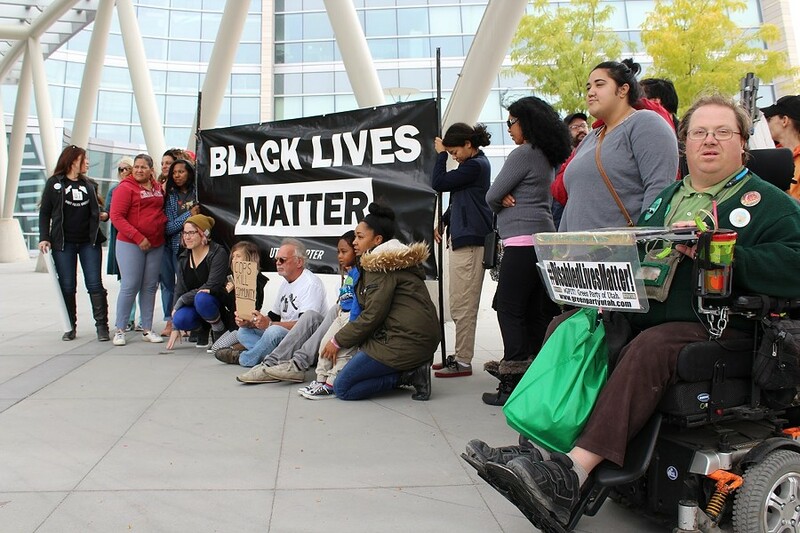 “This isn’t the first time we’ve seen Sim Gill side with his peers,” Utah Against Police Brutality’s Matt Romrell told City Weekly on Wednesday, citing Gill’s almost carbon-copy results from the February 2016 police shooting of 17-year-old Abdullahi “Abdi” Mohamed. 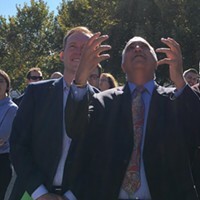 “Gill has proven either incompetent or careless in his duty to provide justice and fairness to all Salt Lake City residents,” the description goes on to say. “If shooting Patrick Harmon in the back while he was running away is policy, then it’s clear to me we need to change the system,” Romrell said. Artwork on side of new downtown District Attorney bldg. unveiled.